This quote belongs to Colin Luther Powell (born April 5, 1937). All action begins first with a thought. How do you turn this thought of your dream into actual reality? That is the challenge. 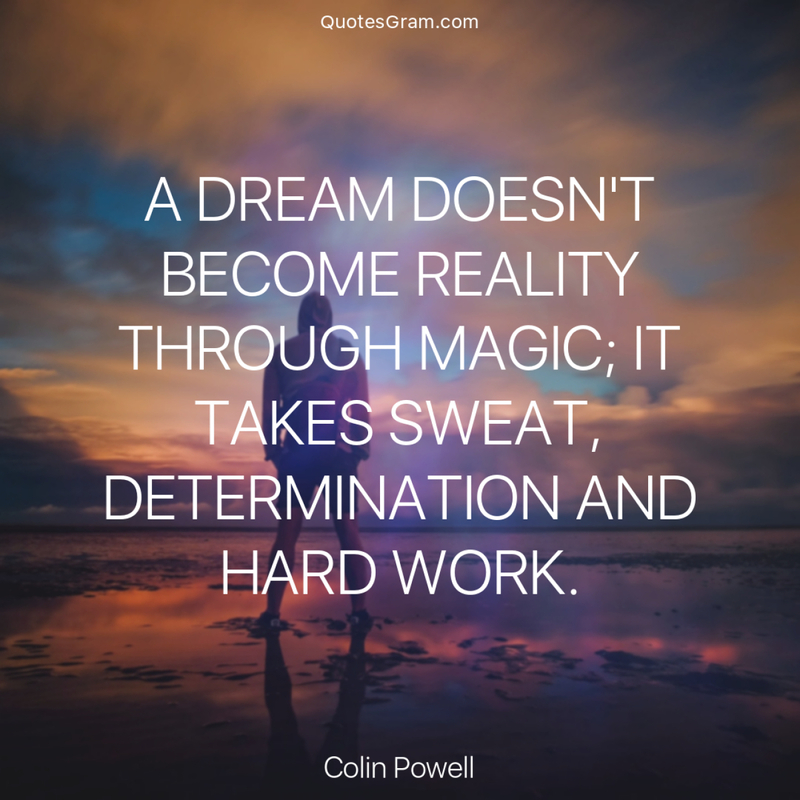 The answer lies in "sweat, determination, and hard work." A person has to be truly motivated to follow these required steps. Other distractions will tempt the person from achieving his/her goal. Staying focused on the task at hand and completing the smaller steps along the way will maintain the enthusiasm and the drive to succeed. There is no substitute for hard work. Having initiative and determination will make the hard work worthwhile. A person tends to have more appreciation for something that he/she has earned through hard work. Do not be afraid of the hard work involved - be afraid of the sorrowful consequences of inaction.